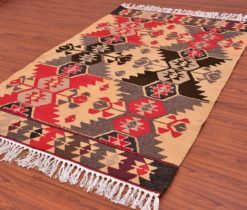 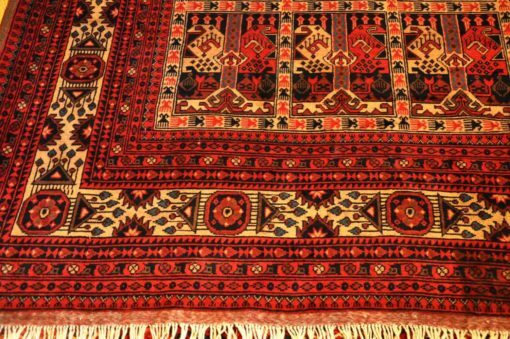 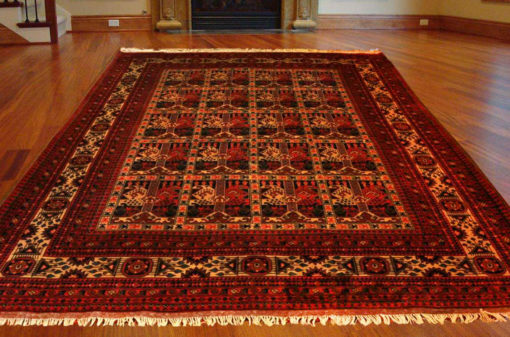 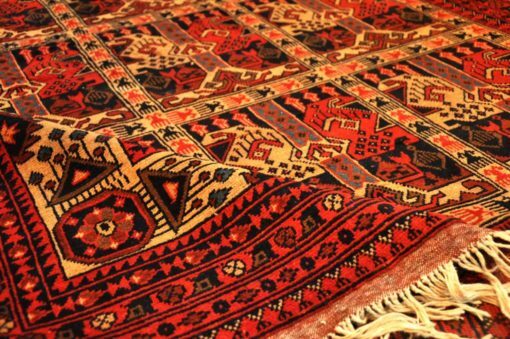 The main Red color on this rug is a bit dark red we call this dark madder red color made from madder dye for red, then washed in onion skin to give dark red effect. 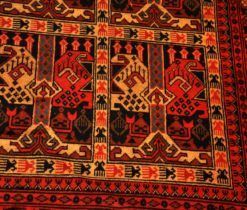 Second color is Dark blue close to black, this blue color token from Cherry root and Indigo leaves of mountain in Central Asia) dyes and after wool treads has been boiled in pomegranate skin dye pot for 1,5-2 hours. 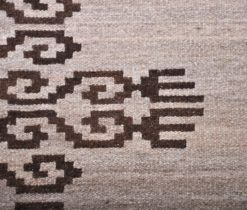 The reason blue has faded dark effect. 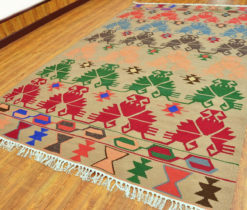 Third color is Orange red used Old fastic ( Fustic tree) tree wood cuts. 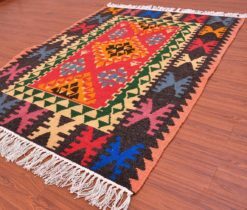 with mix of peach leaves and high quality fabric color. 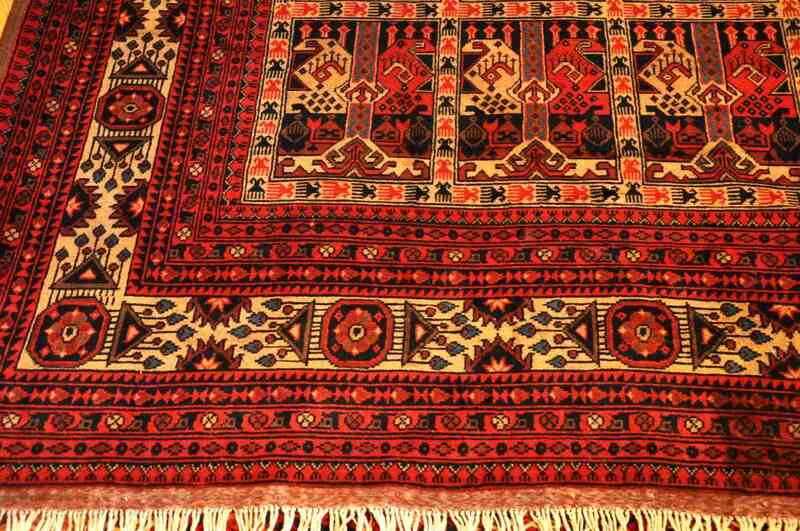 It has more dirty Orange red effect. 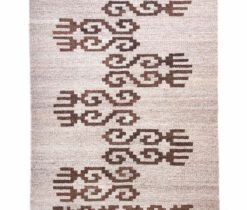 Used different styles of tribal motifs, predominantly geometric, heaven garden motifs from far east. 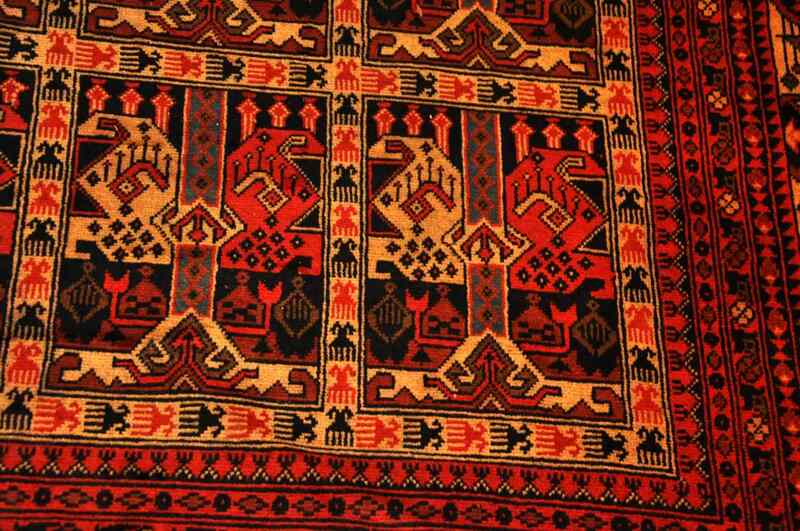 The motif used for Bukhara rugs is by far and away the best-known of all those for decorating Oriental rugs. 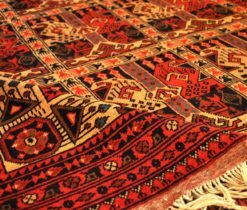 Bukhara rugs are so prized for their beauty that western dealers have adorn the adjective Royal to the name. 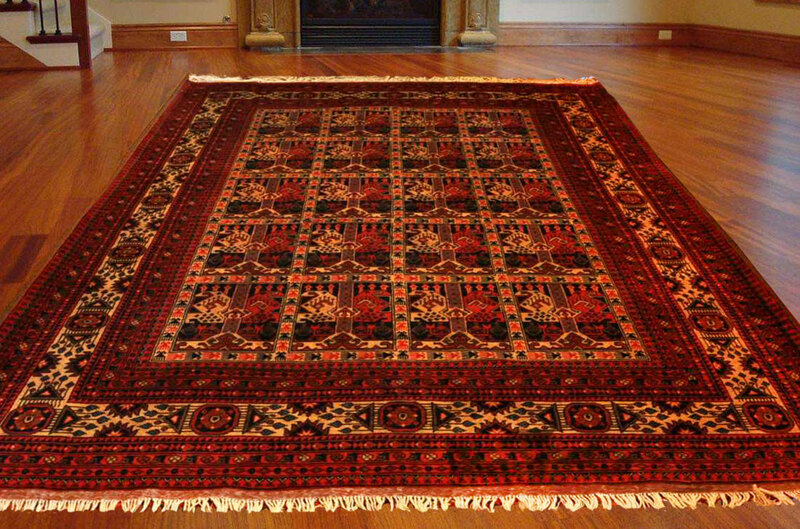 Hand Knotted In the Northern City Of mazar i Sharif Afghanistan .This Rug is in Excellent Condition . all edges are original. 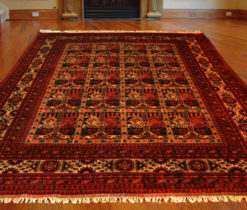 in great condition.The Wool is very soft and The Colors are Absolutely Gorgeous. 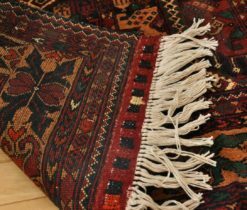 To fully appreciate its individuality and craftsmanship it is important to gain an understanding of the basic principles of carpet weaving, which in itself can add a new intimacy to our love of carpets. 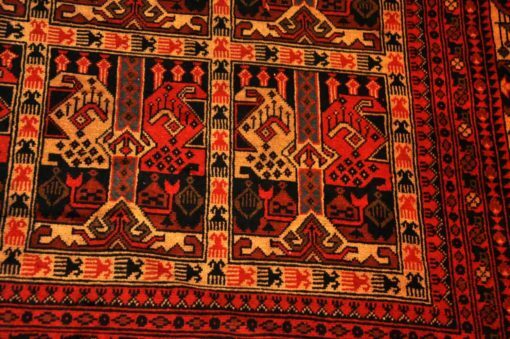 This unique Persian rug was weaved by master weavers in 18 month time. 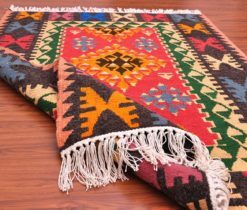 Interior use only. 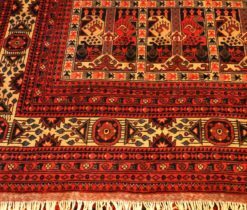 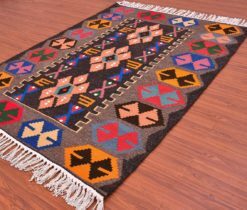 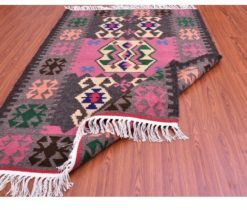 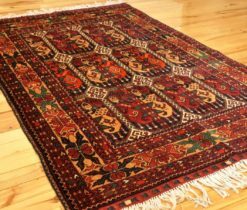 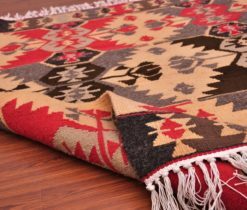 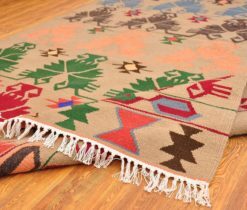 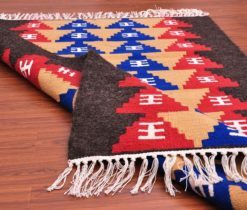 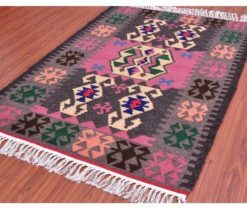 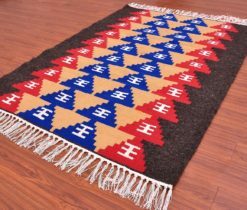 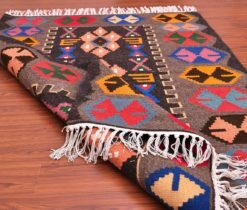 This Rug will be shipped with Standard registered Airmail service to worldwide from Uzbekistan delivery time 10-20 working days working days.